ENKYU IS THE CLOTHING COLLECTION OF MONGOLIAN DESIGNER ENKY BAYARSAIKHAN. THE STUDIO PUTS OUT PRIMARILY HAND-MADE CLOTHING MADE OF NATURAL MATERIALS LIKE LINENS, COTTONS, & RECYCLED DENIM. THE COLLECTIONS’ SHAPES & VISUAL SENSIBILITIES BALANCE SOMEWHERE BETWEEN PLAYFUL MINIMALISM & SCULPTURALLY FUNCTIONAL. ENKYU ALSO PROVIDES A SELECT COLLECTION OF VINTAGE CLOTHING & STATEMENT ACCESSORIES. 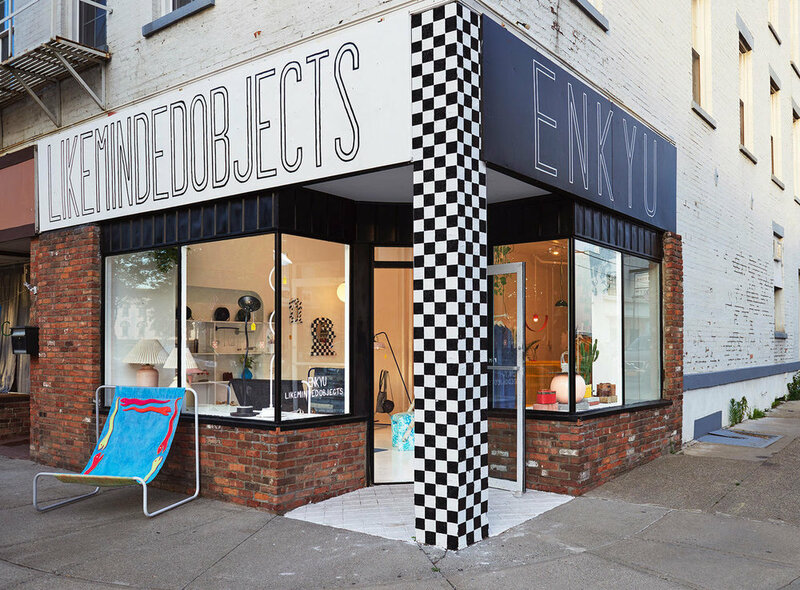 LIKEMINDEDOBJECTS IS THE CREATIVE STUDIO OF ARTIST / DESIGNER ELISE MCMAHON. LMO PRIMARILY DESIGNS & PRODUCES FURNITURE & CUSTOM INTERIORS, ALWAYS WITH AN INTERDISCIPLINARY & RESOURCEFUL DESIGN APPROACH TO SEAMLESSLY COMBINE DIVERSE MATERIALS TO CREATE UNIQUE OBJECTS & IMMERSIVE SPACES. THE STUDIO HAS CONTRIBUTED ITS PIECES TO CREATE STOREFRONTS, OFFICES, RESTAURANTS, & HOMES FOR CLIENTS IN HUDSON, NYC, LA, CHICAGO, & ACCRA, GHANA.